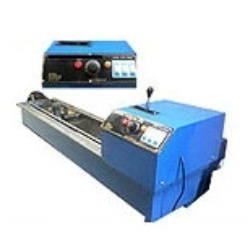 We offer premium quality ductility testing machine, which is used, for determining the ductility of asphalt, cut bitumen and blown type bitumen. The Machine consists of a bath thermostatically controlled with inlet and outlet taps. It is equipped with an electric pump circulator and heater. Offer ductility apparatus as per is standard. Ductility apparatus consist of bath thermostatically controlled with inlet & outlet taps. it is supplied with mould & timer. It is works on 220V single phase. Also offer with digital timer. It is easy to operate. Aluminum is easy to process, no matter what method is used (milling, drilling, shearing, forging or spinning). It is easy to shape, making it ideal for extruding, strip rolling, bending or other plastic hot or cold fabrication methods. It can also be soldered and glued.